Linda writes a children's novel that features a Lemur that looks exactly like Phil. Ted and Veronica team up to use information from Rose to save people from needlessly getting fired. Lem ends up having an affair with his lawyer that's billing him by the hour. Good stuff always on Better Off Ted. Taye Diggs guest stars as Greg, Linda's perfect genetic match... until she finds out he's crazy and dresses as a bear in the park. 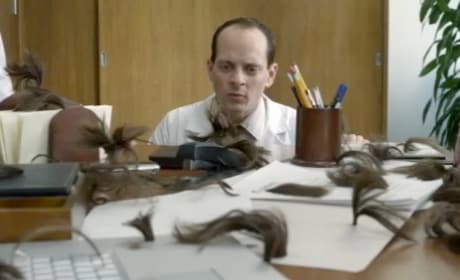 Phil comes to investigate Ted's desk to see the results of their hair growth formula. Apparently it works a little too well and causes desks to grow hair. 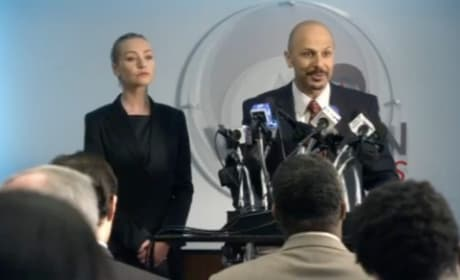 Dr. Bamba takes all the blame during a press conference in Better Off Ted. Bamba is their go-to scapegoat. Linda notices something dripping from the ceiling and when she realizes it's flammable and eating through her desk, she might want to report it. 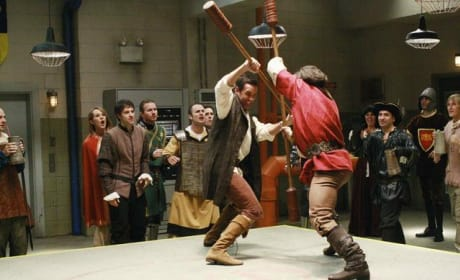 Ted channels his anger towards his ex-wife in his fight against the Groth in his medieval fight club he joined. 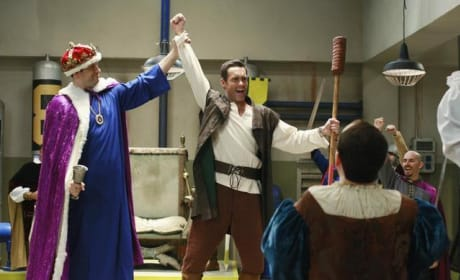 Ted is declared the winner by the King / IT guy after winning his first fight at the medieval fight club. 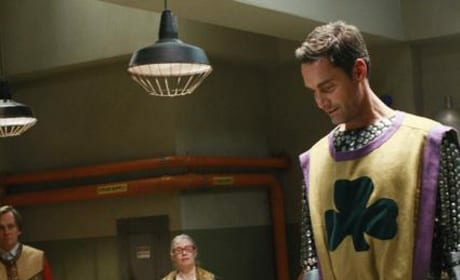 Phuil and Lem are demoted to court jesters when Ted defeats them in battle. He's their boss at life now. 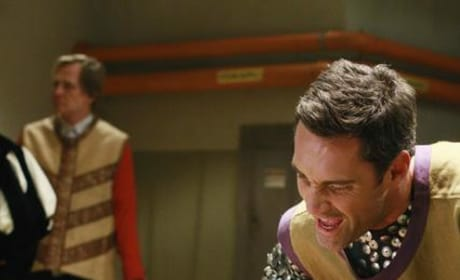 Ted takes down the dreaded Groth in a fight no one thought he would win on last night's Better Off Ted. 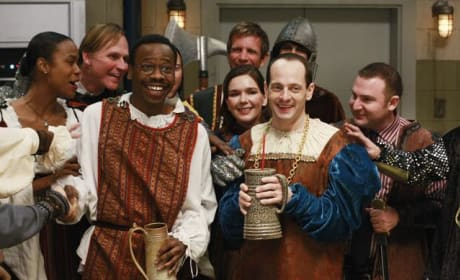 Ted joins Phil and Lem's medieval fight club and duels against a fellow peon to rise in the ranks.